Photo via Rabyaa Althaibani Twitter. 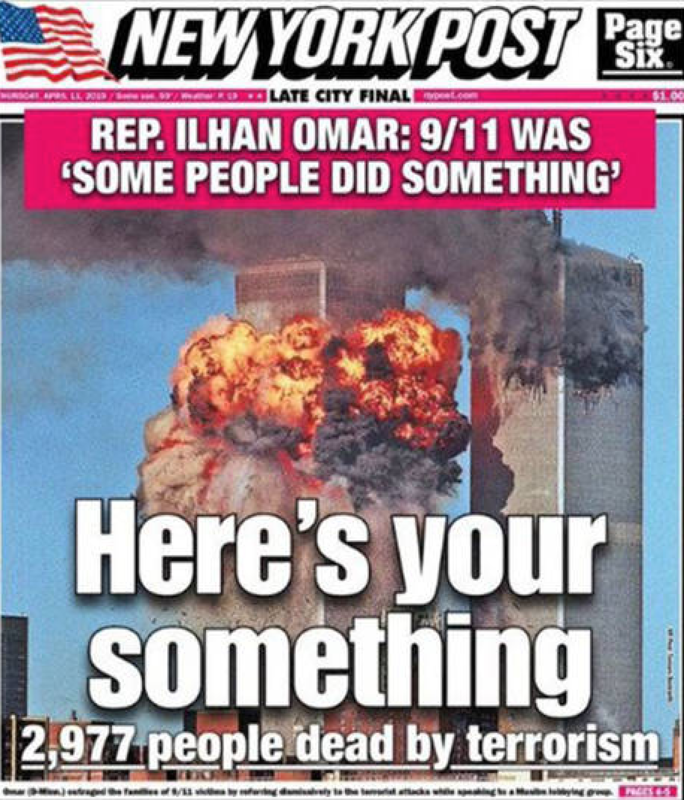 BAY RIDGE – Yemeni businesses in Brooklyn are boycotting the NY Post after the paper published a cover with a partial quote by Minnesota Rep. Ilhan Omar along with a photo of the World Trade Center burning. 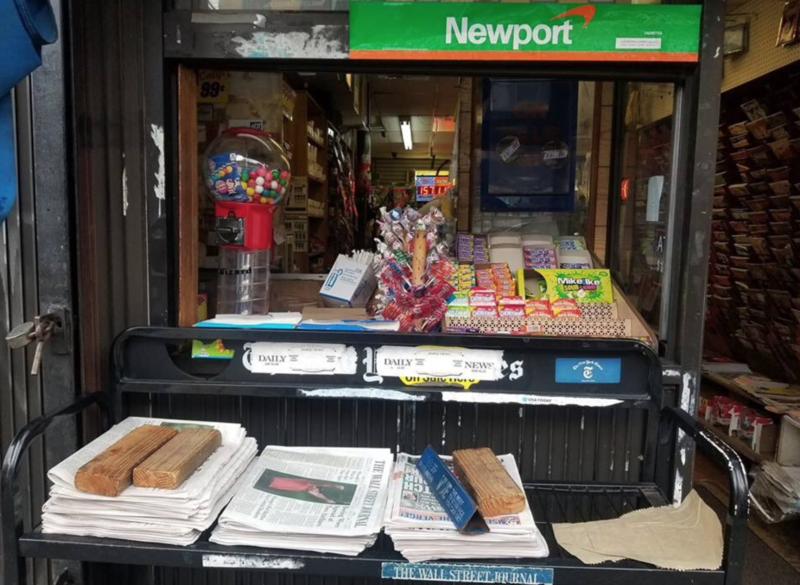 The cover prompted Yemeni businesses to decide to boycott the NY Post – meaning – they would no longer be supplying the paper in their bodegas. 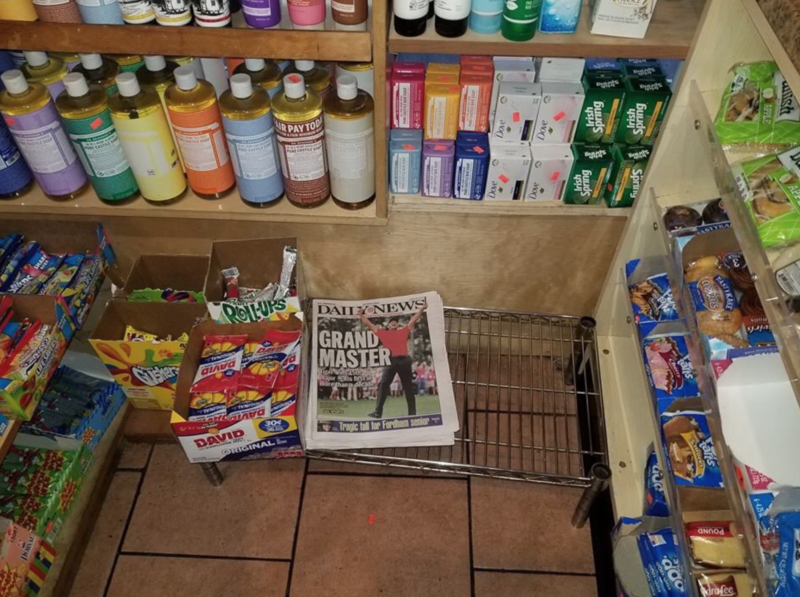 Rashid Nasher, the owner of 4 Ave Fine Food, located on 514 4th Avenue, told Bklyner he’s been boycotting the NY Post for years now. In fact, it started when the store belonged to his dad. One day, he said he was contacted by someone at the NY Post as to why they haven’t been selling their papers. Photo via Rabyaah Althaibani Twitter. Though Ilhan Omar is from Somalia, her mother and grandfather were from Yemen. At the YAMA Gala in February, Omar was the keynote speaker. She iterated the fact that Muslims don’t have a reason to hide and should stand up for themselves. Council Member Justin Brannan told Bklyner that the NY Post boycott is one that is easy to understand. He said he supports the Yemeni businesses. Far left Bklyner squelches First Amendment right to publish. You just reprint news releases supporting anti-Jewish politicians who disrepect 9/11/01? Really. You are going to double down and support that anti American bigot from MN? I have apolitical friends who just read the Post for the sports section but, over time, they come out with some bigoted statements that are totally opposite the positive world view they had when they were younger. It’s not simply a newspaper—It’s imbued with right-wing jingoism throughout. Most newspapers report neutrally and relegate diverse debate to an Opinions section. The Post (and the Daily News) are opinionated tabloids with an agenda that should function under free speech but not free press. 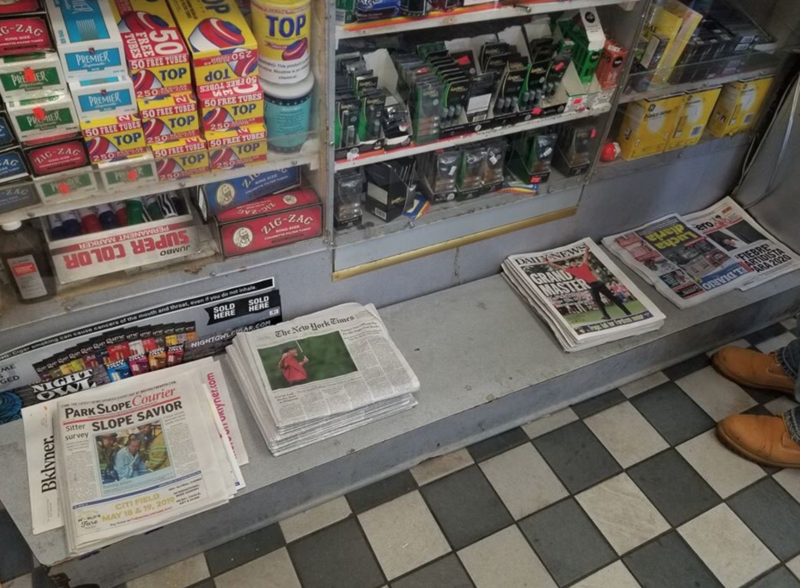 Neo-nazis should be allowed to march in Skokie but should Jewish shop owners be compelled to carry neo-nazi publications? An white male American gun supporters ask us not to group them with the “few bad apple” white male mass shooters yet many of them are happy to group all muslims with terrorists and support racial profiling. You can thank the Post and other wildly successful Murdoch “news” outlets for this. Brad Lander once again shows that he is unfit to represent New Yorkers. When 9/11 occurred, Lander must have been sitting comfortable in his Chicago suburban home while this city was in total chaos. All 19 terrorists that day were Muslims, including at least 1 from Yemen. Historically, boycotts do not work as those who organize boycotts may find themselves being boycotted, especially as the Post has a very large readership. 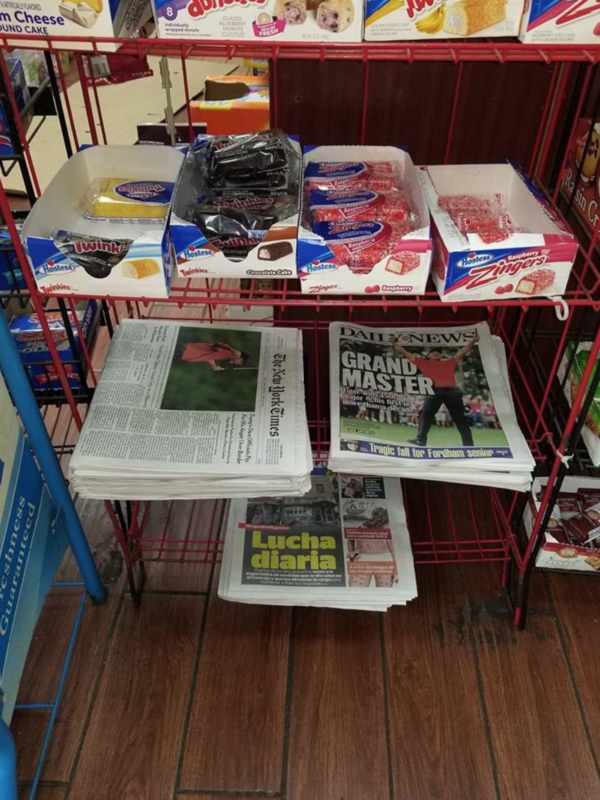 Newspapers also have been known to bring people in who will then buy cigarettes, soda, candy, etc., so these stores may lose considerable business without the Post. I do agree with comment above that you site shows an anti-Jewish and anti-American slant. Brad Lander has consistently shown that he represents himself, immigrants, illegal residents and expects that the working class support others as he is a socialist who favors regressive taxes. For example, the new Cuomo bag tax will hurt the poor, the elderly, our children and middle class shoppers while the rich like Cuomo and Lander will never be affected. Cuomo and Lander have been repeated sound bites over and over again about plastic bags in the ocean but it is the Pacific Ocean which is polluted with plastic originating in China, not New York State. Instead of concentrating in solving the important issues such as already high taxes, poorly run schools, lost of jobs especially upstate, people fleeing to other states, terrible mass transit, potholed roads, lack of affordable housing, homeless, drugs, crime, etc., Cuomo instead manufactured a plastic bag crisis and without speaking to the average person about what they want, appointed a commission of his lackeys who recommended the end of plastic bags and have supermarket only provide paper bags, at a cost of 5 cents each. And people ask me why I am voting for Trump next year.